This is a bold single choice. “Like a Wrecking Ball” sounds like nothing on the radio today. Irregular rhythms, a vocal sung out of the corner of his mouth, and a lyric that makes every other love song out there sound like child’s play. Listening to it reminded me of hearing Dwight Yoakam’s “Nothing” for the first time. An established radio artist being this fearlessly progressive with his arrangements is inspiring and I hope it pays off for him in spades. An instant contender for the best single of 2015. Hmm…I’m not hearing it. I can’t get past the overload of reverb and the sleazy lyrics. I’m not quite sure how this puts “every other love song out there” to shame. I think I can hear what he was going for, but he just never gets there. Like most of “The Outsiders”, for me at least, the execution on this is just too sloppy. Wow. I love Eric Church. I like Church, but I’m not so sure about this one. The arrangement is definitely nice and something different, but the lyrics…ick. Just way too sleazy and straightforward for me. Not wild about the reverb on his vocals either. It’s like Tim McGraw was doing- he doesn’t need that and it just sounds weird. 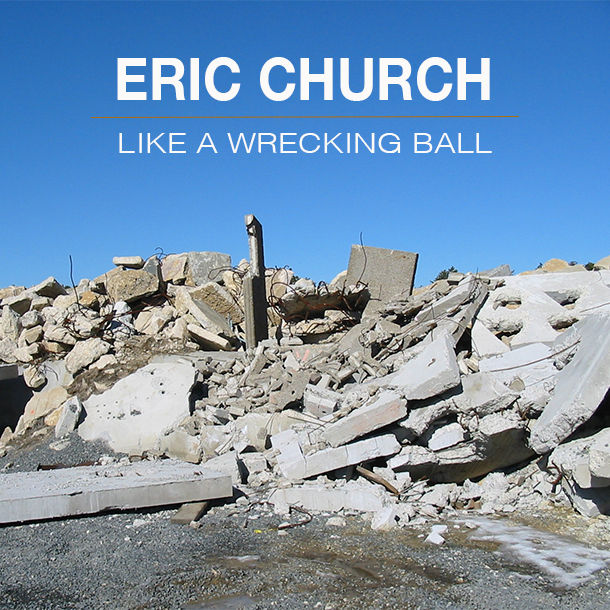 …for quite a while now, eric church probably produces the most avantgarde country music there is these days. cool little number to listen to with matching production. like it, but don’t love it. Outside of “The Joint”, “Like a Wrecking Ball” is one of my least favorites on the album. I don’t doubt the sincerity of the singer, but the lyrics are too bold and straight-forward for me. I would rather that he released “Broke Record” or “Devil, Devil”. This must be the 3rd or 4th A in a row for Eric Church. I swear I am not ghostwriting Church’s reviews for Kevin! Or holding his dog hostage! Don’t like it at all. Not a Church fan.